My dogs are both middleaged dogs adopted from U.P. shelters. They are both companion animals only. Although Jake is so smart we may do some pet trick competitions in the future. Jakes 6 and I've had him for almost a year and a half and Fancys 6 and have had her for a few months. It's a lot different with two dogs then one, but it's all worth it. 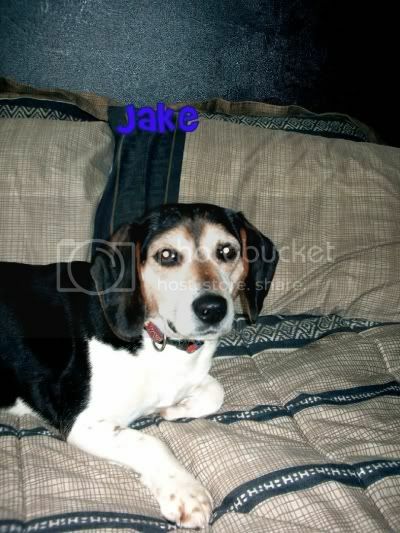 I didn't mean to get into beagles, I volunteered at a shelter to walk dogs because I missed my lab back home, and ended up falling in love with beagle boy Jake, and they were about to put him to sleep because he was in the shelter the longest of any dogs there. Jakes a pretty good bunny catcher. He caught 2 last year, just on walks on a 5 ft leash. Heres a couple pictures of my hounds. Heres Fancy.. I too have some older dogs..and some puppies...and some toddlers. When we first got started in this whole beagle thing, we had one that was just a house dog that went hunting a couple times in the fall. 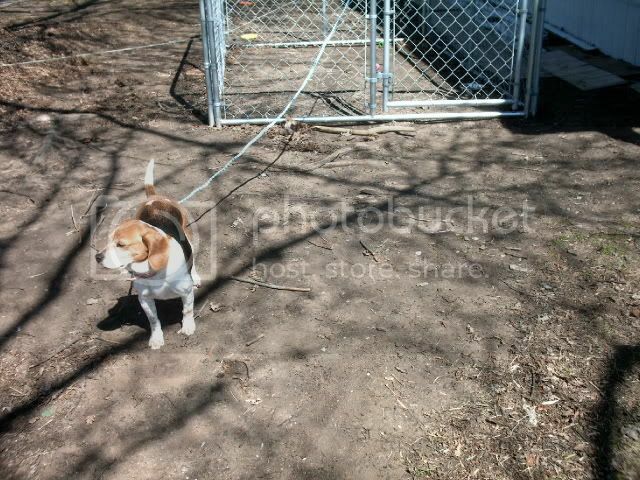 Then we got a beagle mix from the pound to rescue it and give the first one some companionship. Then we met someone who introduced us to field trialing. We fell in love with this sport and now have too many dogs!! But I love them all. The old ones will stay til they die, the toddlers we will train and run in field trials as well as hunt, and the puppies will be loved and played with until old enough to start on rabbits. Vey Cute Dogs.. I have 3 beagles going on 4 in August. my first 2 are 3 yrs old and the youngest is almost 2. Ziggy ..Gracie & Ty. They don't do anything but be couch potatos well Ty goes out in the spring but the others don't due to physical reasons. But your dogs are very cute. Beagles Are Like Potato Chips You Can't Just Have One. Beautiful beagles, but then ALL beagles are beautiful! Robyn, nice to see you here, too! This is where you'll probably get better info about hunting, and field trials, since none of our Beagle Bay members are really into that (except for Tonya's husband, of course). All TEN of mine are "pets" - tho I DO have occasional litters - hope to have two litters next year - one from JoJo and one from Bella. Angel is only 11 weeks old - but she will probably have a litter in 2009 - IF all goes well with her. My "stud", Tanna (Mojave Desert Santana) has an excellent pedigree - both his parents are IFC - and he has many field and international field champs in his line. My JoJo's pedigree is ALMOST as impressive - she has something like 19 field and international field champs in 5 generations. She and Tanna make wonderful babies! I'm looking forward to some awesome pups from Bella, too, when she's old enough. Aren't our little "hounds" WONDERFUL?? 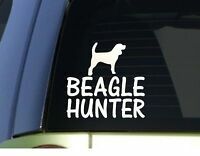 That sounds really cool beagles i have all of mine oin the house and they are fine hounds at a young age. My oldest is 3 and is a hunting champion. He will sit pretty shake laydown role over high five shut the door and get in the frige if you put a towel on the handle. I would say he is one of the smartest dogs that i have ever seen. 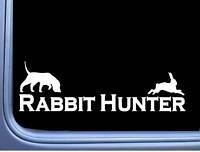 He really is more than a rabbit dog he is a little buddy that i take every where with me.